Month of LibreOffice, May 2018: The results! Great work, everyone! This is higher than the previous three Months of LibreOffice (in November 2016, and May and November 2017), which reflects our growing and thriving community. Click the number to see the full details, showing usernames of the contributors helping out in various parts of the project. 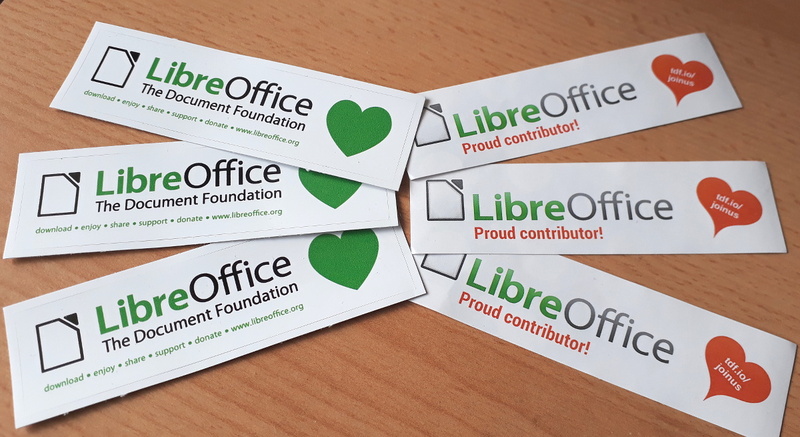 If you contributed to the LibreOffice project in May but your name (or username) isn’t on the list, let us know! Send us an email stating what you did and with your address, and we’ll make sure you get a sticker too! The hundreds of contributions during May have helped to make LibreOffice even better – but we’re not done yet! There are still many ways you can get involved, join our friendly community and have fun – see this page to get started. Thanks again!